The Dividend Drive: BUY: WPP (WPP)--An Advertisement in Growth and Income? BUY: WPP (WPP)--An Advertisement in Growth and Income? It is that time again. A purchase. I have been quiet recently with the markets going on a bit of a baby bull run. However, on Thursday the market had a little dip with some of the big beasts of the FTSE 100 getting knocked back a bit. One of those was the FTSE 100 advertising and public relations giant, WPP. WPP is the largest advertising company in the world. I have been watching WPP for some time. Indeed, it has been slipping in its share price for a few days. But the larger market drop helped push it down a little more rapidly. So it was time to pounce! It has an impressive dividend growth record. Not only has it grown or held its dividend for 22 years in a row (figure courtesy of Dividend Life) but it has also grown at a rapid rate during that period. Doubly impressive. It has been north of an average of 16% per year for at least the last decade. Very nice indeed. It also seems set for solid future growth as well. It currently has a large percentage of its income from emerging markets. These countries chiefly have very low marketing penetration and are thus extremely fertile markets for companies like WPP. What is more, they are focusing attention on digital and data areas which are also fast-growing and becoming increasingly lucrative. All in all this means WPP seems well placed to continue growing into the future. Of course, being in the industry it is, it is rather sensitive to the strength of the economy. That being said, when the economy is in poor health companies may look to cut their advertising budgets. However, it is rarely the case they cut them altogether. But let's take a look at the actual numbers currently being put forward by analysts. This is a pretty tight set of predictions--only about 8% apart--and show that all analysts covering WPP expect the EPS growth to continue from the 2014 figure of 84.9p per share. Even the lowest prediction represents a c.8% growth. Again, we have a tight set of predictions and again a rapid predicted rate of growth. So all in all, looks good so far. This high EPS growth is also reflected in the dividend growth predicted by analysts. As it stands, WPP yields a modest 2.4%. However, it is expected that this will grow 13% and 10% this year and next. This would provide a dividend of 43.26p and 47.86p per share. That is a yield of 2.76% and 3.05% for this year and next. Maybe not a high yielder. But I am looking to push more funds towards high growth dividend stocks at the moment in order to supplement my high yield, slow growers which currently dominate my portfolio. WPP certainly fits the bill nicely. What is more, it is not as if this is on a wafer thin dividend cover. Assuming the lowest EPS predictions highlighted above we should see the dividend covered by earnings nicely above two times. That is excellent. When you look at WPP from other number angles it looks equally appealing still. According to the figures in the last annual report it has a comparatively low debt to equity ratio of 0.64. Not too straining. Similarly, it has large cash reserves of about £2.25 billion. This works out as about 172p per share. It is this large pool of cash that they chiefly draw upon when making the large number of acquisitions which have marked WPP and its history. All in all, therefore it looks like a company with an excellent growth record which is in rude health. Excellent indeed. So how does WPP fit into my investing goals for the year. Well, frankly, not very well taken by itself. Clearly, its fairly lowly yield will pull me a little further away from retaining my 4% portfolio yield. However, this is sort of intentional as it is supposed to be a high growth rather than high yield stock. Similarly, the £17 odd in dividend income that is predicted from it adds a little more to my £800 target for the year. Not massive, but it is something at least! Also, unfortunately WPP has a high Beta value of 1.16. This will drag my portfolio up a bit away from my 0.85 Beta target. However, it should not be too much. On the plus side, because WPP is registered in Jersey I did not have to pay stamp duty on my purchase. As a result, the fees I paid on this purchase amounted to only 0.78% of the purchase price. This will be hugely useful in reaching my target of getting my expenses below 1.3% of my invested funds in the year. Overall, I am very happy with my purchase. It provides a nice strong growth company to my portfolio and in a sector that was under-represented. Here's to continued growth! Thanks for writing this analysis - I'm a fellow shareholder of WPP and I'll be looking to add to it over the course of the year as funds and opportunity permit. I think I'm naturally drawn to fairly boring / conservative stocks that can pay a sustainable dividend. Thanks for the link to my blog too - I hope to be publishing the complete dividend history online next week to make it more transparent where my calculation of growth history comes from. A fellow WPP shareholder! I actually missed that one in your portfolio! I think that is a good idea. Its growth going forward seems pretty solid on present predictions. Indeed, when you consider its size and its consistent growth record it is quite staggering. Sorrell certainly knows his onions which is excellent for shareholders! I do wonder what will happen to WPP after his retirement (though judging from his workaholic attitude, I suspect it will be death). I suspect a sharp drop at first. However, the company is in very robust health so should easily sail through any such eventuality. Being naturally drawn to boring/conservative stocks is not a bad tendency to develop! Of course, media companies close correlation to market trends means that they can sometimes provide something of an exciting ride! That sounds a great idea with regards to publishing the full dividend history. That is what I originally did with my little version at first. It was a lot of work for me though (I was doing it by hand, I am sure you're automating it to some extent). I will try and review the remaining stocks in my list to see how they relate to yours soon. I have, sadly, been bogged down a bit with work recently! An interesting buy - this has been on my watch list but I've just not gotten round to buying yet, despite its impressive dividend growth record. Good luck with these, I may yet join you as a fellow WPP shareholder at some point! I know what you mean. It was on my watch list for ages. Watched is slowly but surely just keep drifting upwards in price and thought: "Time to go for it, I think" when it had a little bit of price weakness! Its growth record for both EPS and dividends is stonking. If it can achieve what the analysts predict then it will be a super investment. 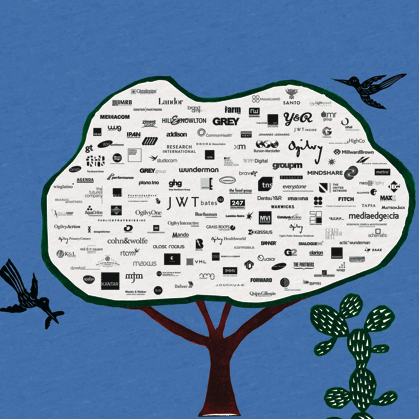 May see you in the WPP shareholder camp soon! I am looking to invest in a FTSE 100 stock come payday. I only have one in my portfolio, Royal Mail and need some others. I had overlooked this one and I am particularly interested in it now as the future dividend increases look enticing. Thanks for educating me. Yes, it is an interesting stock. Its growth has been very impressive and its business appears to me very well placed for future growth. It has carefully targeted digital and emerging markets which seems pretty canny to me. It is definitely worth researching a little more. But there are a number of other FTSE 100 giants which are looking good value at the moment. If I held just Royal Mail I would probably look at something a little more defensive like National Grid you highlight on your site. I bought into the company myself a couple of months ago (see http://bit.ly/1GiKiV8). There are, as I say, plenty of interesting companies looking pretty solid value right now (many with heftier yields than WPP as well to get you going as well!). Anyway, good luck with your next purchase! Do make sure you update us on what you chose to do! Thank you for your analysis and for putting WPP on my radar. Hadn't really looked into them before, but your write-up convinced me to do so. WPP seems like a really stable business considering the cyclical nature of their operations. On top of that there's the spectacular growth. Keep it up building your portfolio! You own quite a lot of awesome businesses already at such a young age - congrats. My pleasure, NMW. Glad you found it of interest and hopefully of use! I know what you mean. It is a remarkably stable company for its industry. But maybe that is because we assume--perhaps incorrectly--that advertising is more cyclical than it really is. After all, when the economy takes a hit companies certainly cut their budgets but rarely cut them altogether. I suspect also, poor economic conditions result in many companies (small and large) outsourcing their advertising more (good for WPP). This is probably even more true now the advertising environment is SO complicated! It is still cyclical of course. But maybe less extremely so that I would have ordinarily assumed. Or WPP is just very good at navigating through the tough times. Either way, it makes WPP a nice purchase! The growth is very impressive. I expect the rate to slow from what it has been in the recent past. But it is still, seemingly, a very good growth rate. Thanks. I am pretty chuffed with how my portfolio is looking now. It seems quite nicely diversified. Although I would like to slim down on the financials a little. I am also happy I have started to build bigger positions in the companies I really find attractive. Hopefully they should repay my belief over the long term! Yours is looking equally impressive. We started blogging not long after one another and we both seem to have a similar number of companies in our portfolios (I also have some ETFs which I have not got round to listing yet. Like you, I started with them! ).